Last week, Flickr announced it was removing the previously-required Yahoo login, adding new "Pro" features, and adding a 1,000 image limit on free accounts. The news, particularly the 1,000 image limit on free accounts, hasn't exactly gone over well, here on DPReview and other forums. One complaint in particular is what will happen to the hundreds of thousands of Creative Commons photos currently being hosted on Flickr. 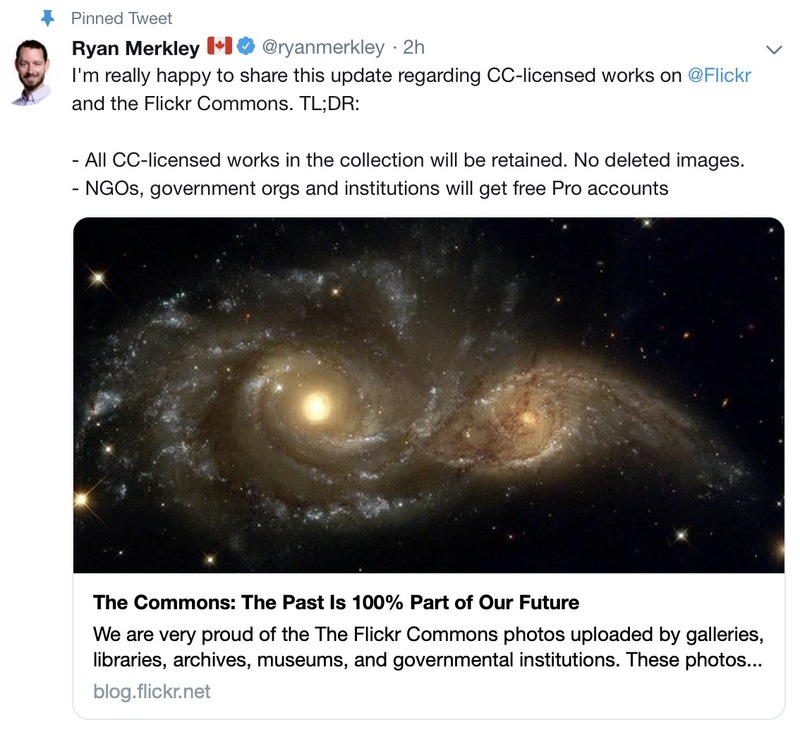 Creative Commons CEO, Ryan Merkley, even got in on the topic, saying on a post on the Creative Commons blog, "Many users are concerned such a limit on free account capacity might cause millions of CC images to be deleted from the Commons. A lot of people have reached out to us directly and asked what we can do. I’m confident that together we can find solutions, if we assume goodwill and bring our collective creativity to the problem." 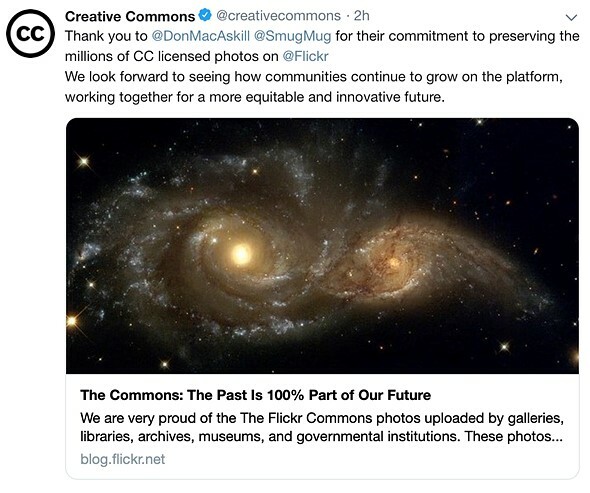 He later added in the blog post, "I have confidence in Don and Ben and the SmugMug and Flickr teams: they want to do right for the Commons, and they understand how deeply CC and the photo Commons is integrated into the goodwill that Flickr has retained over all these years." Well, we now know the fate. In a post on the Flickr blog, SmugMug Co-Founder and CEO, Dan MacAskill, announced Flickr is sparing Creative Common photos from the 1,000 image limit. 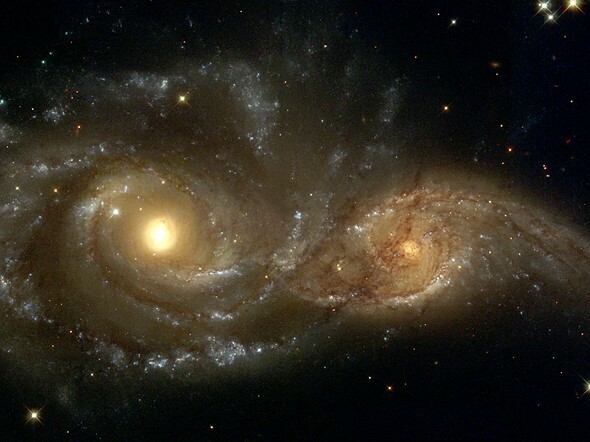 Flickr will also keep any photos in the Flickr Commons that have been uploaded by institutions, including NASA, The Smithsonian, The National Archives UK, and The British Library, and others, saying "all these organizations already were Pro or have received a free Pro account from us, so they have unlimited storage." The post also address non-profits who rely on Flickr for image hosting. He says SmugMug has worked hand-in-hand with 501(c)(3) organizations and International charities in the past to provide free, unlimited storage and will continue to do so going forward with Flickr. Flickr has even set up a dedicated page where non-profits can fill out a form to get started on getting a free Flickr Pro account set up. MacAskill ends the article saying "Whatever changes come in the years going forward, the importance of these photos will always matter to us. We not only want to preserve the photos we have, we want to keep partnering with organizations such as libraries, museums, and government agencies to contribute to The Flickr Commons as well. And we will continue to work hard to keep these photos safe and available for the world to view and enjoy." 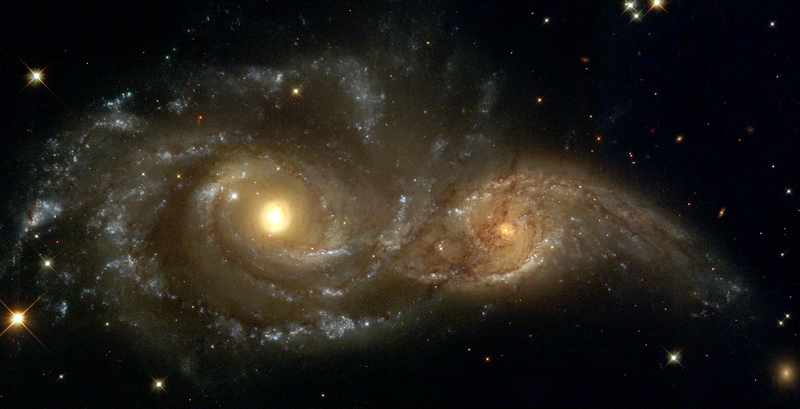 You can read the post in its entirety on the Flickr blog.